The results of a FOIA lawsuit filed by conservative watchdog group Judicial Watch reveal that the White House allowed filmmakers Kathryne Bigelow and Mark Boal unusual access to some of the planners behind the Osama bin Laden raid. In order to help the filmmakers in the creation of their movie “Zero Dark Thirty,” Undersecretary of Defense for Intelligence Michael Vickers allowed the filmmakers to meet with a Navy SEAL who was part of the planning process. The Department of Defense (DoD) redacted the name of the Navy SEAL in the government records that were released, citing privacy reasons. Furthermore, the filmmakers were allowed to enter a CIA “vault” where the tactical planning for the raid took place. Some Republicans, like Chairman of the House Homeland Security Committee Peter King, have expressed their outrage with the incident and have claimed that Obama is taking security risks for his own political gain. In a press briefing last August when the documents were not released, Press Secretary Jay Carney dismissed claims that the filmmakers were given classified information, calling them “ridiculous.” However, no details of the raid have not been be released to the public under the Freedom of Information Act. An analysis made by The FOIA Project shows that while the Department of Justice (DoJ) had only received 10% of all FOIA requests in the past year, it had the highest number of appeals. The DoJ’s total was 3,258 appeals, which is 30% of the number of appeals that all agencies received. Moreover, it was the agency against which the most FOIA lawsuits were filed, again receiving roughly 30% of the total number of lawsuits. The American Civil Liberties Union (ACLU) filed a FOIA lawsuit against the DoJ for the release of statistics on its use of two electronic surveillance tools, pen registers and trap and trace devices. These tools can be used by the Department of Justice as long as it files a certification with the court that the information it is likely to obtain is “relevant to an ongoing criminal investigation.” Although the requirements for permission to use these devices are weak, the DoJ is required to disclose its statistics of use to Congress every year. Due to the DoJ’s poor record of disclosure, however, the ACLU sued the DoJ in the hopes that it can force the release of these statistics. Former director of the Information Security Oversight Office (ISOO) J. William Leonard, otherwise known as the “Classification Czar,” asked for permission from the US District Court for the District of Maryland to publicly discuss a National Security Agency (NSA) document entitled, “What a Success.” In 2010, former NSA official Thomas Drake was charged with ten felony counts of unlawful retention of classified information, including the “What a Success” document. Mr. Leonard claimed that it was an instance of over-classification and filed a formal complaint to the current ISOO director Fitzpatrick. Although District Judge Bennett ruled that Mr. Leonard can publicly discuss the document, the results of Mr. Leonard’s formal complaint are yet unknown. 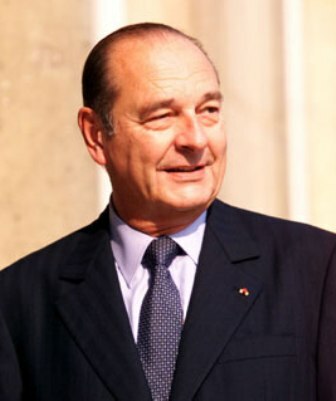 In 2003, then-French president Jacques Chirac threatened to veto a UN resolution against Saddam Hussein. ← Document Friday: What Happened At Dos Erres?